Oracle Mobile Application Framework (MAF) is a hybrid mobile application development framework that allows developers to develop applications rapidly and efficiently. 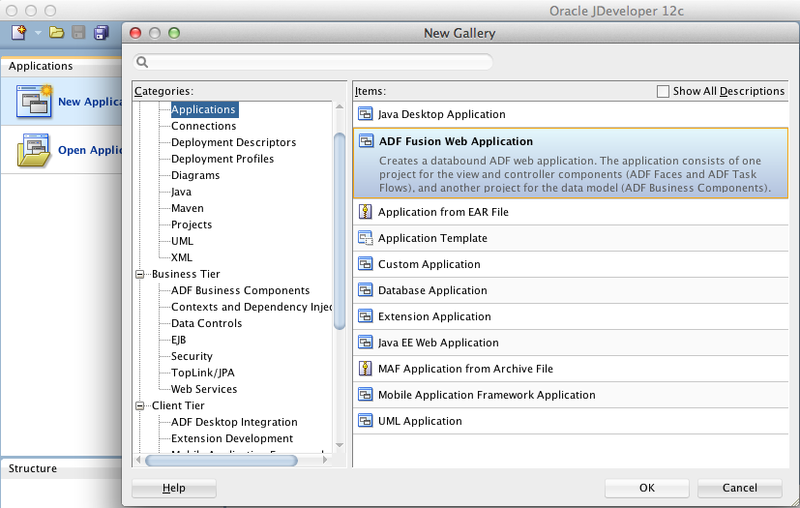 To get started with MAF, you can check my previous post here – http://k21technologies.com/blog/fmw/writing-your-first-oracle-mobile-application-framework-maf-application/. 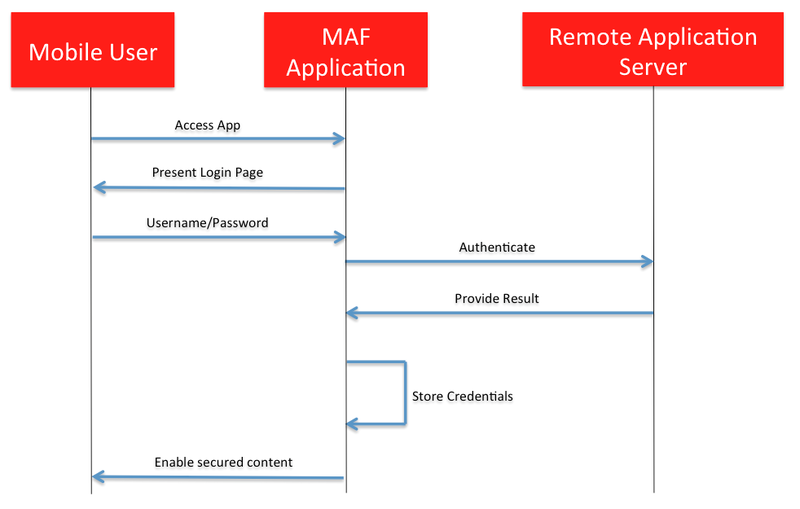 To know more about Authentication in MAF, check out this post here – http://k21technologies.com/blog/oam/oracle-mobile-application-framework-maf-authentication/. 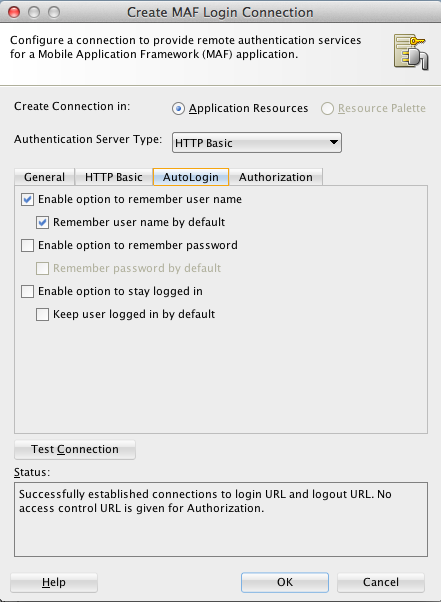 In this post, we are going to see how you can secure your MAF applications using HTTP Basic Authentication. 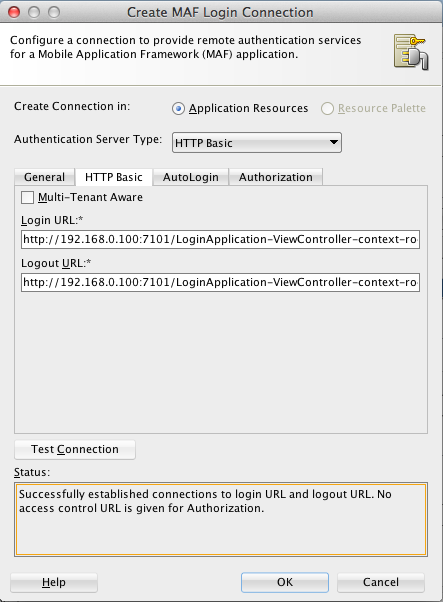 In this mode, the user credentials are authenticated against a remote application server. We will use our Mobile Application – EmployeeSecurityApplication in which there are basically two features – Employees and Departments. Departments feature is a public feature and can be accessed by anonymous users. However, Employee feature is restricted and only authenticated users are allowed to access it. 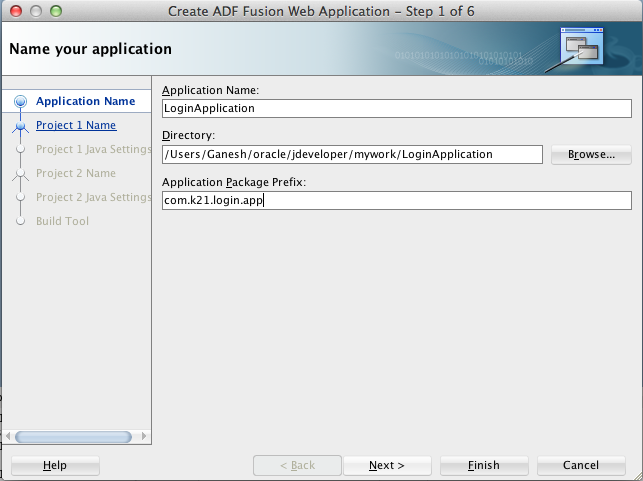 We will develop an ADF Fusion Web Application to act as credential validation application. 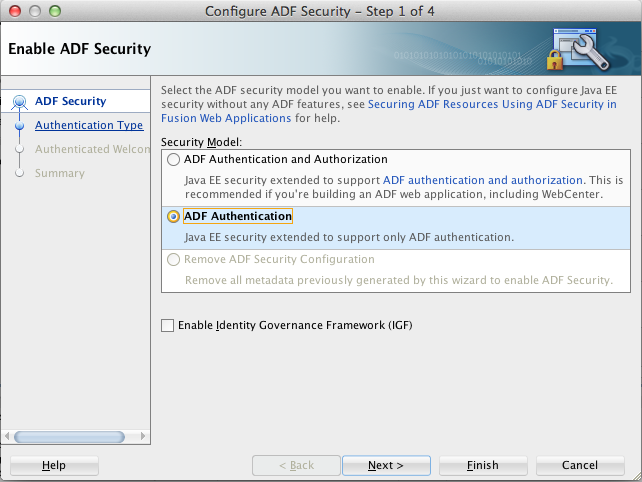 If the user is authenticated, MAF application stores the credentials locally depending on the Connectivity Mode used and displays the secured features. 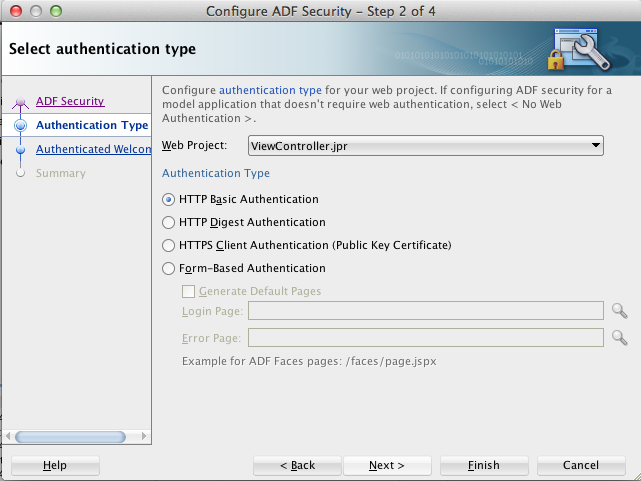 If the user is not authenticated, MAF application returns the login page to input the valid credentials. 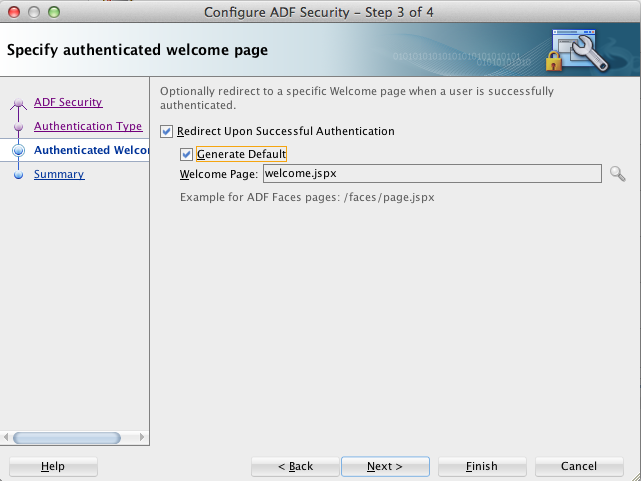 You may choose to Redirect Upon Successful Authentication to redirect page after valid authentication. Now we have a standalone web application which is not aware of any mobile device accessing it. 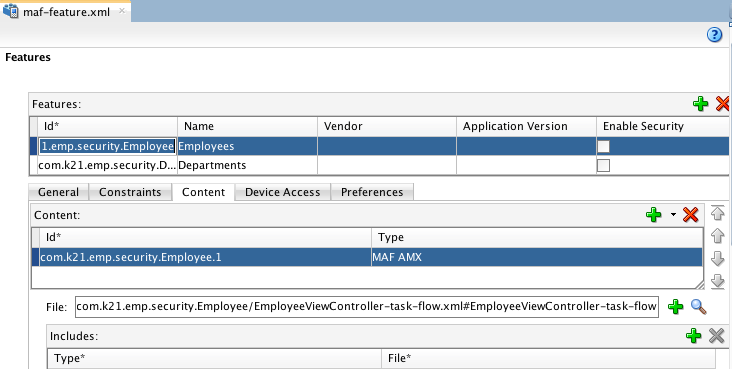 Open maf-application.xml file from Application Resources panel. Click on Security tab. You can see that the Login Page is default. 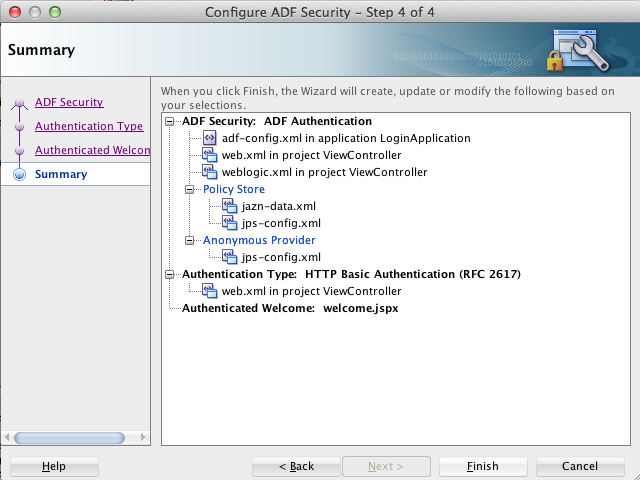 Authentication and Access Control can be configured only for Employees Feature. 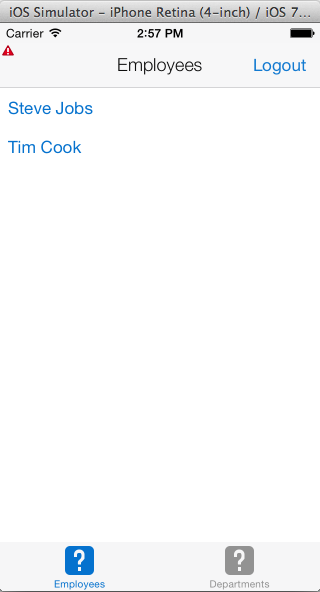 Remote URL Whitelist is empty and KBA Page is set to Default. 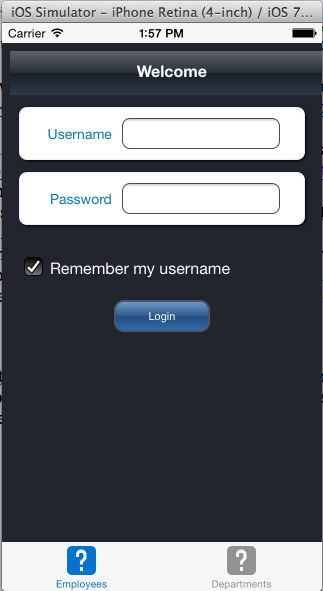 Next we will configure the logout functionality for our application. Add an actionListener event to the Logout button. Create a method logOut in ManagedBean. The logout method should use the logout method from oracle.adfmf.framework.api.AdfmfJavaUtilities to logout from the all the features. In previous two sections, we have developed a web application which authenticates the users and configured security for Employees features of EmployeeSecurityApplication. 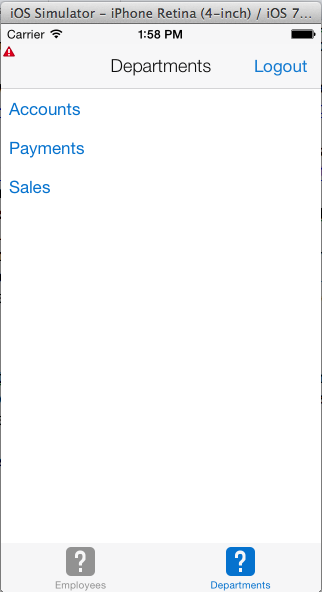 Next, deploy the application on iOS simulator or android emulator to verify the results. However, if you try to access the Departments feature, you will not be thrown a login page. This is how MAF separates secured and public content. Now click on Employees feature and as expected you are asked to login. 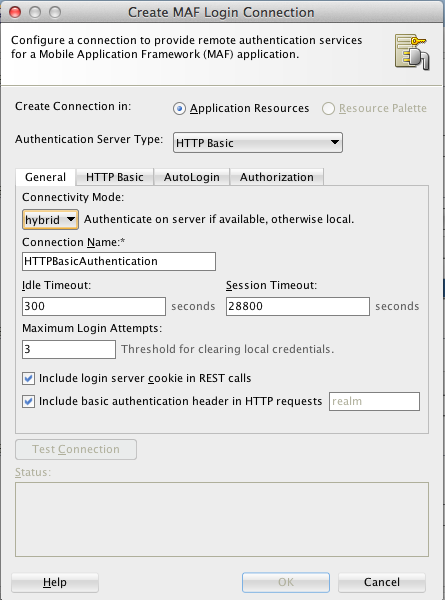 Enter the credentials which are to be validated against the remote application server. Here you go. You can see the contents of Employees feature. Now that you are authenticated, you can move between Departments and Employees features seamlessly without having to be authenticated. Click on the Logout button. It will trigger the action listener event and will log you out from all the features. Now if you try to access the secured features, you will be asked to enter the login credentials again. 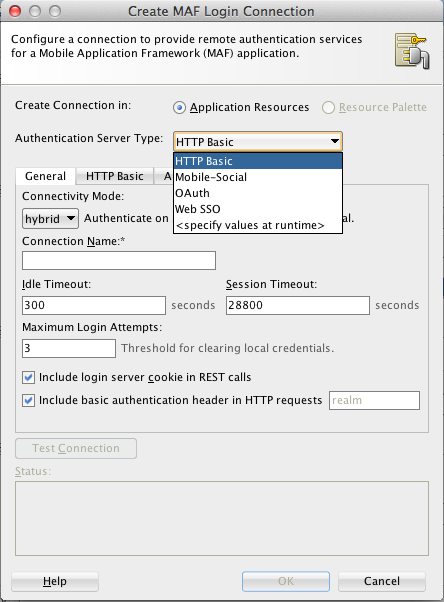 This article describes how you can secure your Oracle Mobile Application Framework Applications using HTTP Basic Authentication with remote Application Server. Is the username (Weblogic) the Weblogic server’s userid. I tried similar example. for me I was able to acess only if I give application servers credentials. How can we create users credentials. 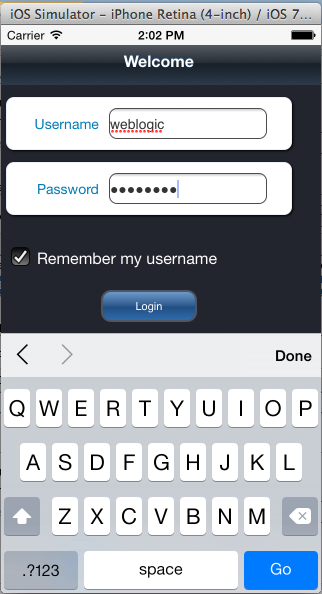 and let the users enter there username/password instead of servers credentials. The user credentials are authenticated against WebLogic identity store. You can create users by following this link (if you wish to use the inbuilt identity store) – http://docs.oracle.com/cd/E21764_01/apirefs.1111/e13952/taskhelp/security/DefineUsers.html. It is recommended to store the users and groups in an external identity store such as Oracle Unified Directory or Oracle Internet Directory. 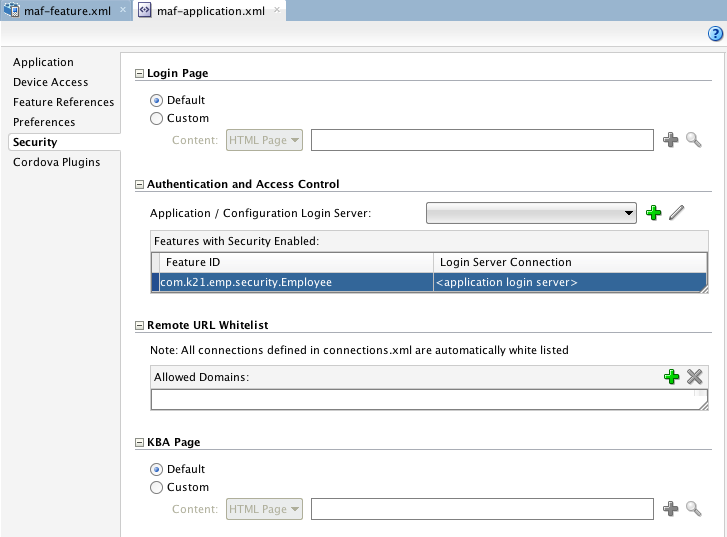 You can configure the WebLogic server to use the external LDAP by using various authentication providers – http://docs.oracle.com/cd/E17904_01/web.1111/e13707/atn.htm#SECMG169.